A very small bright red cherry with a very desirable tangy flavor. The Acerola Cherry is believed to be one of the best naturally occurring sources of vitamin C. A dark fruit that's similar to cherries, higher in vitamin C than most other fruits, and slightly acidic. Additionally, due to their high concentration of Vitamin C, the benefits of Acerola have integrated into the skin care market. 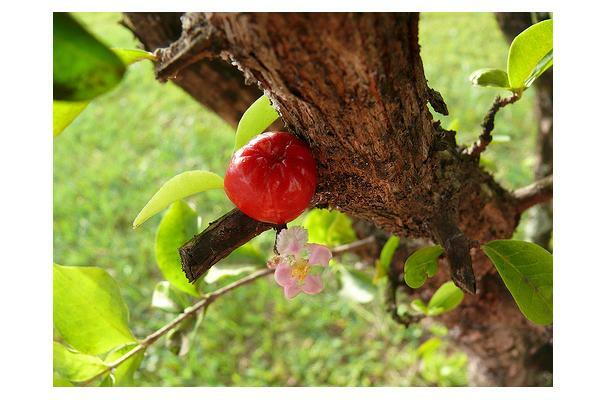 Using the juice of Acerola Cherry can provide a surge of antioxidant benefits to the skin. DHC (a popular skin care company) has a skin brightening line that utilizes pure Acerola as it's main ingredient.